No Baths — Ginger writes. I have two close friends who take baths almost every night, but I never take baths. Who has the time? Then again, my friends would probably say, Who has the time not to? After a recent conversation with a gal from church about Epsom salt - or is it salts? - I am open to that possibility. Otherwise, my bathtub will continue to be used as a closet. 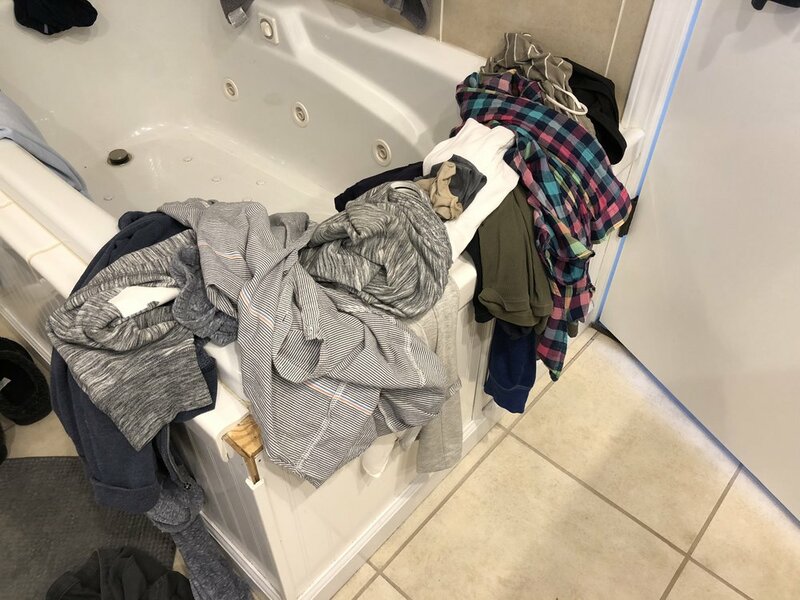 I pile my clothes, the ones I wear over and over, in this handy location so I’ll always have what I need first thing in the morning when I get up and need to stay warm, and again after a shower when I need to put on (mostly) clean clothes. I occasionally straighten things up but it’s not a priority. Neither is making my bed. I tried to do it daily after we got new bedding last year, but it didn’t last. I don’t know why I won’t make the bed. Occasionally I force myself to do it, and I admit that it feels good all day long to see that space that I ordered looking so orderly. I think this must be one little area of my life where I can take a break from my usual Upholder way of being in the world. The Upholder, one of Gretchen Rubin’s “Four Tendencies,” has as its mantra Discipline is my freedom, and I know that to be true. Discipline is my freedom in so much of life and I am keen to set a timer for almost anything I want to do in ten- or twenty-minute increments. It is an amazing way to order time for the purpose of ordering activity. Just not the activities of hanging up my clothes, making my bed, vacuuming the carpet, and mopping the kitchen floor. Those things don’t seem nearly as vital as finding time to write, making homemade meals, doing Scripture memory with the kids, going for walks, copying quotes, making a photo wall, and keeping the house tidied up. I always made my bed as a kid, and so does Bauer. No one told him to, and no one makes him. 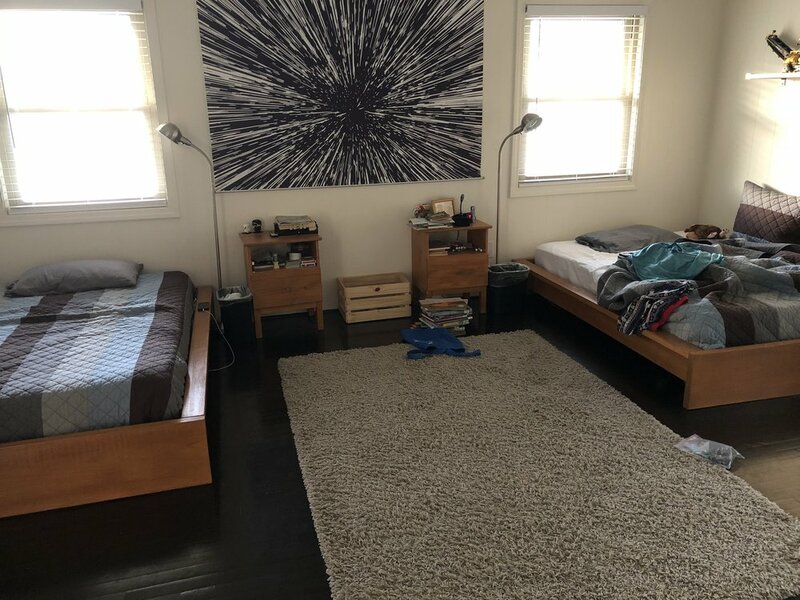 It’s a mini-study on personality to walk in the boys’ room and notice the beds. It’s like seeing Bauer’s ordered insides, except if you looked at my own bed, you’d miss that about me. I like when we are surprises to one another.